Many times in our life we come across situations where we will require permissions and approvals of other for performing certain acts. One such act is seeking permissions of concerned to release videos or audios pertaining to others. While video and audio are one aspect for taking such permissions and approvals, Release Forms and Photo Release Forms are available to take the approval of the concerned for releasing talents and photos of others. 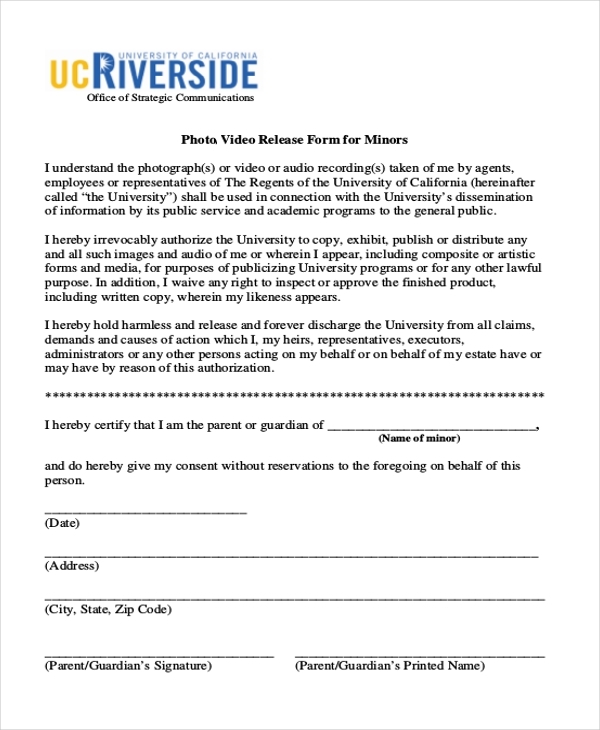 Photo Video Release Form is a format that captures the permission granted for releasing photos and videos by concerned. It is a simple format that can be modified by users. You may also see Photo Release Forms. Video Model Release Form is a format that captures the approval for releasing video model by the concerned. This form can be modified by the users as per the requirement. You may also see Model Release Forms. 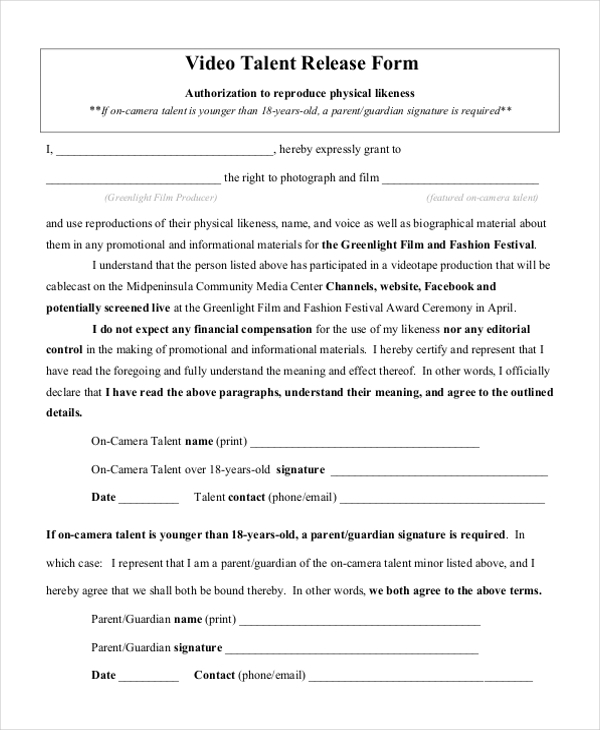 Talent Release Form Video is a format that captures the approval of all concerned for releasing talents exhibited. This format captures the complete aspects of talent release video. You can also see Talent Release Forms. 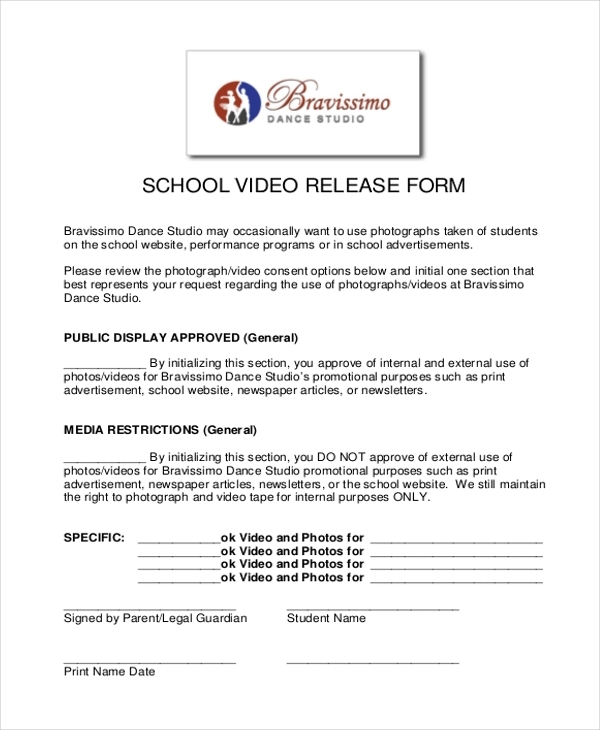 Photo Video Release Form for Minors is a format that captures the approval for releasing photos and videos of minors. This is an editable format that can be modified by users completely. 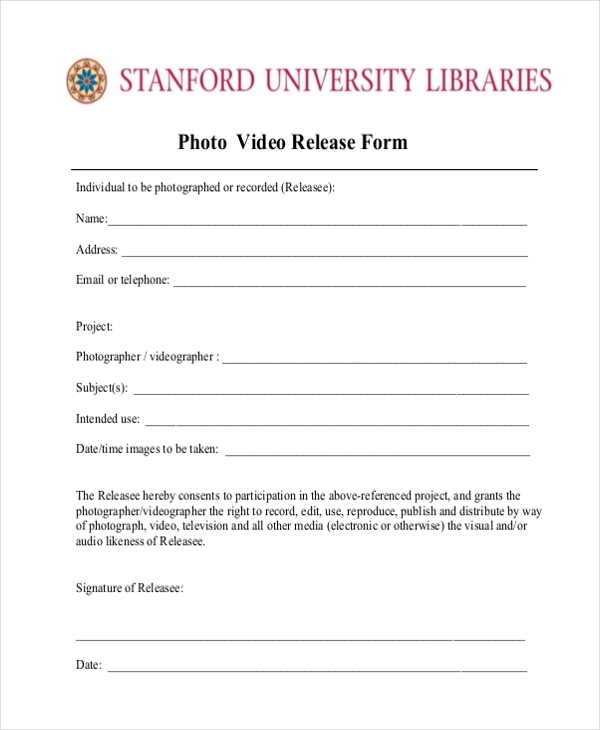 How to Use Video Release Form? 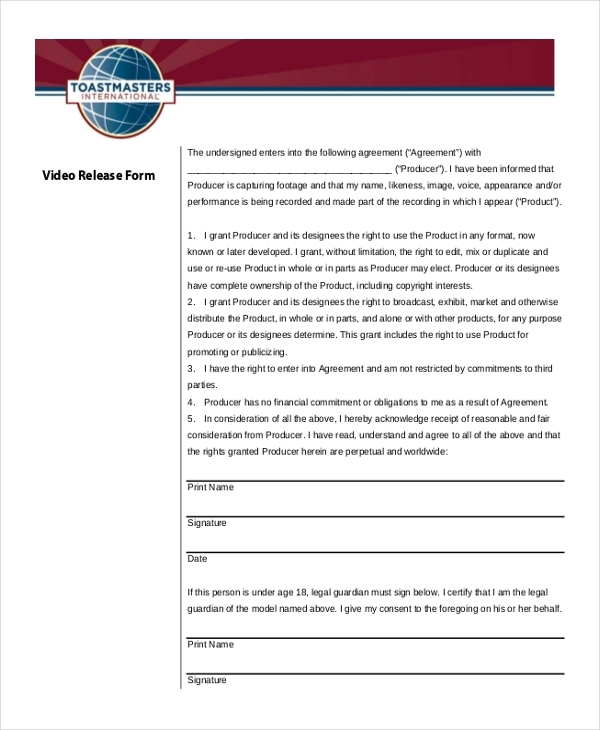 Video Audio Release Form is a format that captures the varieties of video and audio releases based on the approval of all concerned. These forms are designed in a simple manner to enable ease of use to users. These forms provide spaces for people to get the approval from the concerned quarter for releasing audio or video that is copyrighted in an informal manner and needs approval for the release of the same. These formats can be modified by the users to suit their requirements. You may also see Media Release Forms. Who Benefits From Video Release Form? 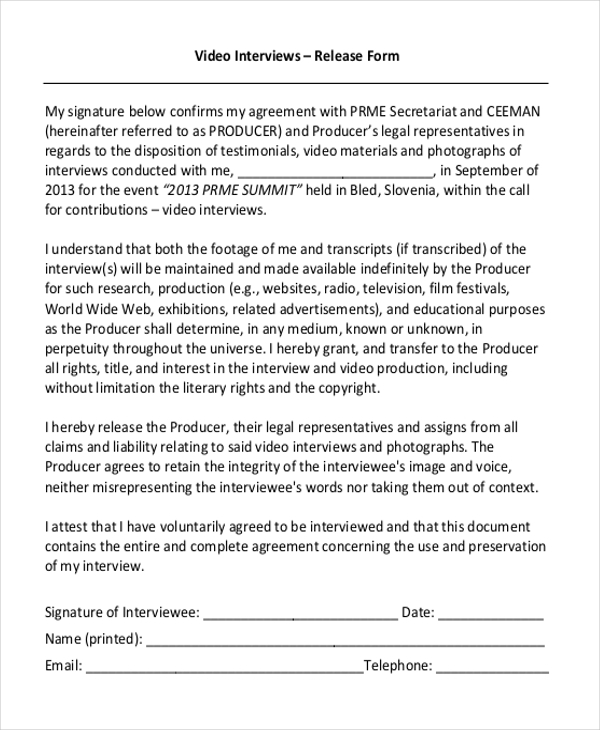 Every person who intends to release an audio or video benefit from Video Audio release Form. 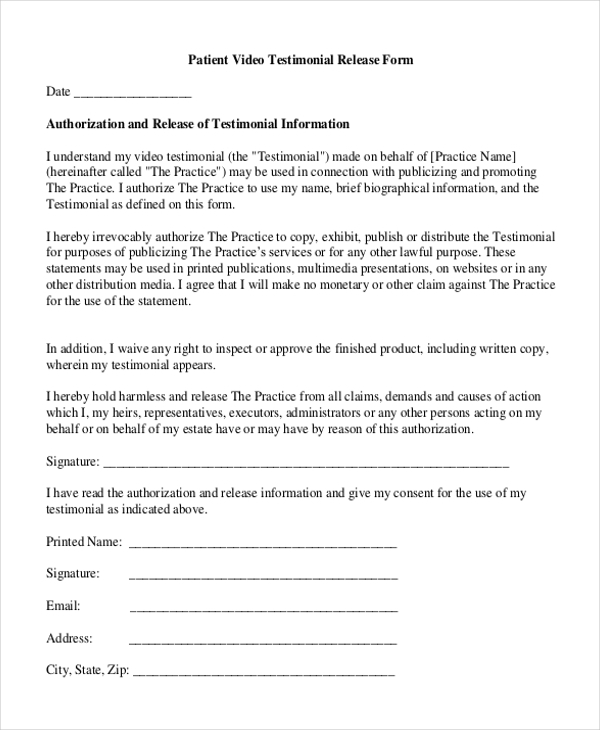 Not only the people who want to release an audio or video benefit out of using this form but also organizations and individuals who want their audio and videos to be protected. Video Audio Release Forms safeguard the interest of such organizations and individuals by enabling them to approve before the same get released. 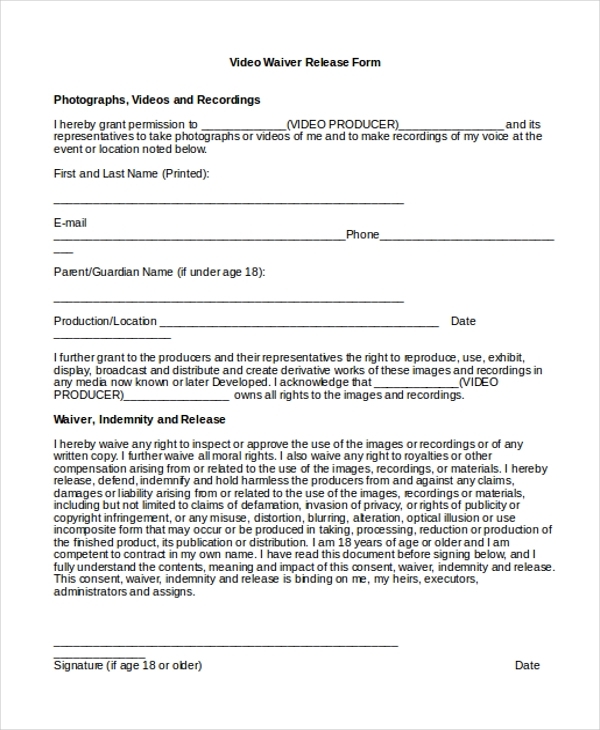 Video Audio Release Form is a highly useful format for many different kinds of users. You can also see Sample Medical Release Forms. 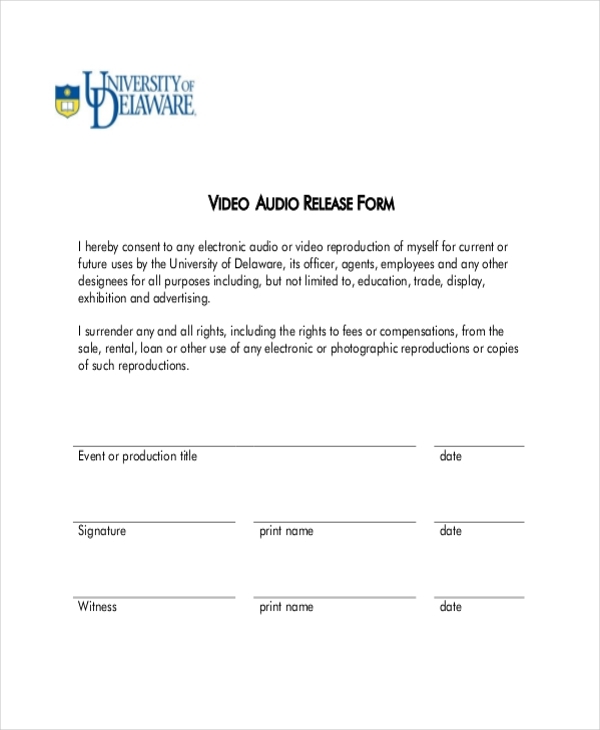 Video Audio Release Forms are unique kind of formats designed to help users exercise control over the release of private videos and audios. While the nature of many videos and audios can appear public in nature, prior approval in writing is taken from all concerned before these video and audios are released officially.